Ah, yes, the often dismissed but very necessary part of the tropical fish hobby, the infamous quarantine tank. Do you really need one to be successful in this hobby? For freshwater fish, you may be able to get by without having one. 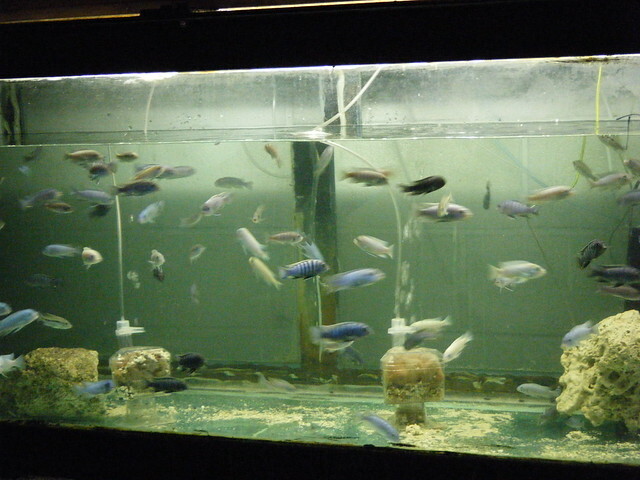 Freshwater fish are generally more suited to captivity because they are usually tank raised and don't seem to break out in disease as readily as their saltwater counterparts. However, if newly acquired fish do come down with something, you will surely wish that you had one ready to go. One newly bought fish that is introduced to your main tank can easily wipe out the entire tank population. Better safe than sorry, right? For saltwater aquarium keepers, I would say that you definitely need a quarantine tank. Marine specimens are mostly wild caught and not used to being kept in captivity. Their journey to a dealers tank is usually much longer and much more stressful for them. Stressed out fish will usually come down with some kind of disease if they don't simply die from the whole ordeal. Saltwater fish keepers will usually have other things in the main display tank such as invertebrates and live rock, that they don't want to expose to the harsh medicines necessary to treat one or two fish. Some medicines can wipe out all of the invertebrates in a tank, so be sure to research any medicine before using it in your tank. Fill the quarantine tank with water from the main tank and then turn everything on in the quarantine tank. For newly acquired fish you will want to acclimate them to the water in the quarantine tank and monitor them very closely for a period of two to three weeks. Monitor the water parameters with your test kits and check for signs of parasites or bacterial infections. If the newly acquired fish does come down with something you will need to use the appropriate medication and you will need to keep them in quarantine for a further two weeks to make sure that you have indeed treated them effectively. If after a few weeks no problems develop, you can then acclimate them to the main tank water and then introduce them. If a fish comes down with something while in your main tank, just net them and plop them into the quarantine tank. There should be no need to acclimate them because you used water from your main tank. If you didn't use water from the main tank you will need to acclimate them to the quarantine tank water. Diagnose the problem/disease and treat appropriately. After the disease clears up you will still want to keep the fish in quarantine for a week or so monitoring the water parameters with your test kits the whole time. Always have some extra saltwater ready in case you need to perform an emergency water change. Remember, you want to monitor those water parameters frequently (daily or at least once every two days). Many saltwater hobbyists always have saltwater ready just in case. You never want to mix up saltwater and add it right away. Freshly mixed saltwater can be fairly toxic to fish, in turn causing you more problems. Freshwater hobbyists may get away with not using a quarantine tank, but saltwater hobbyists would be crazy not using one. Save yourself some money, headaches and especially the fish by having a quarantine tank. The fish in your main tank will thank you for it.